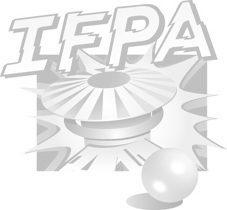 I am proud to announce, Greg Poverelli and Nick Zendejas, with the help of Peter the owner and with the support of the NYC pinball community will be doing a weekly iFPA endorsed pinball league at the new and improved Sunshine Laundromat every Wednesday night! Come enjoy their new bar and pinball room, home of a great beer selection and 20+ of the best pinball titles of all time. League starts every Wednesday at 8:30 PM sharp. $5 buy in each week, with full payout to the winners. We will play in 4 player groups (possibly one or two 3 player groups based on attendance) with the machine randomized for each group each round. Winners are paid every league night, so attendance is not necessary at each event. Each Wednesday will play out like it's own separate tournament, but the final monthly league standings and iFPA results will be based off the cumulative results of all of the league nights that month. In the case of a 6+ week league the lowest result will be dropped including a missed week.